The stormy, dark and mysterious sky in this image reminds me of El Greco's view of Toledo. 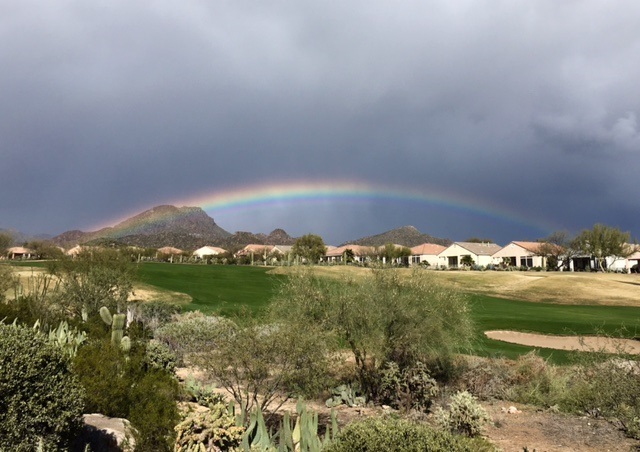 This astonishing full arc rainbow was captured up in Dove Mountain. Regardless of how many times I see a rainbow, each one still thrills me!